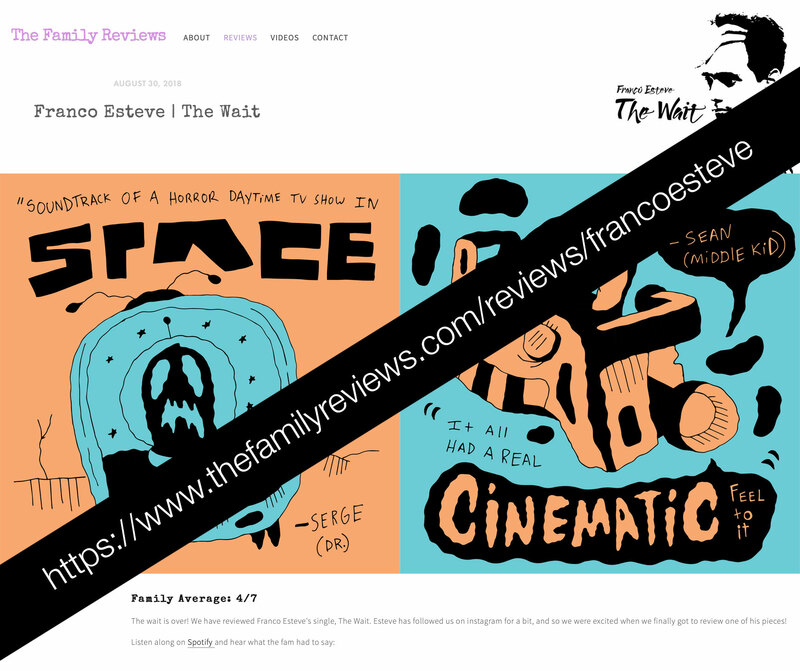 The Family Reviews is a really cool concept where a family reviews music. Are they music professionals or journalists? Are they particularly qualified? No and no, but they don't claim to be. I love their concept because it's folksy, straightforward, and because it's like an instant focus group of regular folks who live in different parts of the world and have very different musical tastes. They've now reviewed my single, The Wait (though the "Mom" ended up listening to my whole repertoire and commenting on that instead, and the "Dad" didn't review this time around). I knew they wouldn't all find it to their liking, especially since it's not a genre that's commonly all that popular, but I also knew they would express how it made them feel. I couldn't be more satisfied with that. Though the music wasn't their cup of tea, the consensus is that it felt cinematic, telling a story, and that it communicated the feeling of waiting. What else could an artist ask for but for their listers to feel what they wanted them to? As my patrons on Patreon and my fans already know, I've often struggled with insomnia and The Wait is meant to, in a beautiful way, reflect that struggle, that waiting, that unresolved sleep. I'm glad that it captured that, even in people who are not into the genre or style of music. You can buy it from CDBaby here or using the links on the player. When you buyit there, you get an HQ MP3 version. It's also available on iTunes here. Tidal also offers it both for salein FLAC and MP3, and for streaming. Deezer now has a Spotify like free tier and you can find it there by clicking here. Their flowfeature is quite cool. Amazon digital also has it, and you can find that here. I've tried to make it available on all the main sales and streaming services. Don't forget to follow, like, and share on whichever your service you listen to it on. :) Thank you! Find out more about The Wait here, about Franco Esteve here and about his music here.